The Hellenic Museum, formerly the Royal Mint, is located on the corner of William and La Trobe Streets. Designed by architect JJ Clark, and providing one of the few examples of the Renaissance Revival style in Australian buildings, the Melbourne Mint’s first coins were struck in 1872. The mint continued to produce gold coins and bronze pennies until 1931, and later came to play a vital role in Australia’s adoption of decimal currency. In 1972, after the need for the mass production of currency decreased, the Melbourne Mint officially closed. The heritage-listed building is actively conserved, and open to the public. Today, the building is home to the Hellenic Museum; a space created to promote understanding and appreciation of the cultural and artistic heritage of ancient and contemporary Greece. 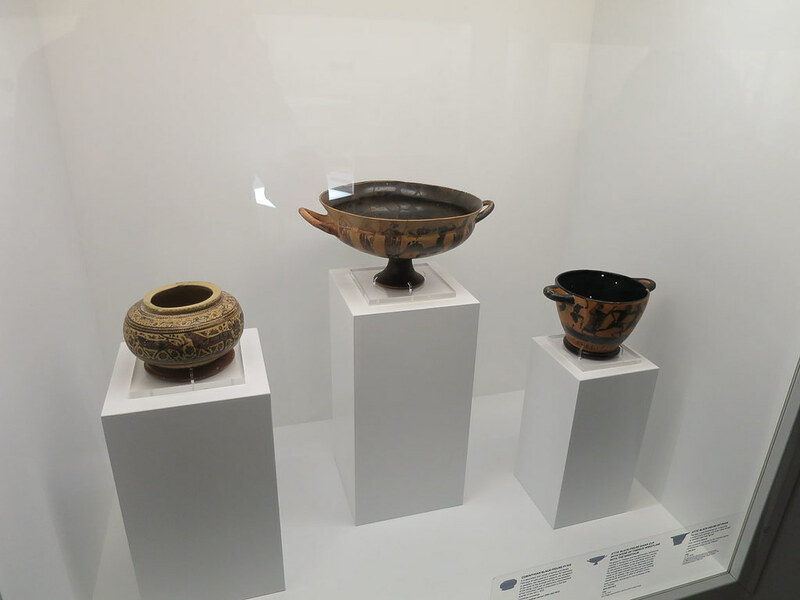 On display is ‘Gods, Myths and Mortals’, a collection that spans 8000 years of Greek civilization on loan from the Benaki Museum, Athens. Also on display is ONEIROI, a permanent installation by Australian artist Bill Henson, exploring the impact of history, beauty, culture and art and incorporating priceless treasures from the Benaki collection. In the courtyard is the inaugural MPavilion. Designed by award winning architect Sean Godsell, MPavilion creates a dialogue between contemporary and conservative design. Check out the album for what I got to check out! And as always – sign up to my newsletter to find out more!